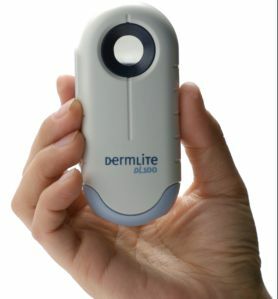 Dermlite Hybrid combines the unique advantages of both polarised and immersion fluid dermatoscopy to give you both options. 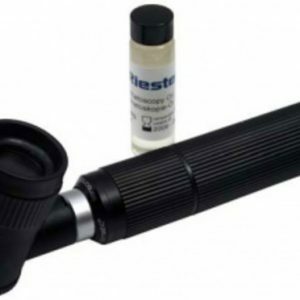 Consisting of 24 polarised and 8 non-polarised LED’s the practitioner has the choice of skin contact or not. 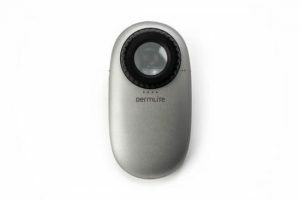 Dermlite Hybrid will also connect to a digital camera allowing you to photograph & record what you see. 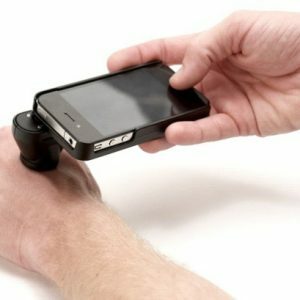 Dermlite Hybrid is supplied with a rechargeable lithium-ion battery, battery charger and a leather belt case.